Get your dog prepped and ready to go every season with the right gear for all of your activities. Whether you are going to the beach or taking a romp in a winter wonderland, you want to make sure that your dog is safe and comfortable at all times. Find the best gear for your dog right here! Water bottle/bowls: The Gulpy is a water bottle and bowl in one. Fill it with fresh water before you head out on a walk. 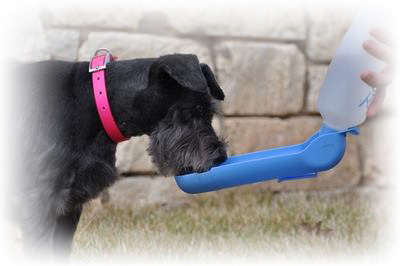 When your pup is thirsty simply flip the tray portion down and let your best friend guzzle his or her fill. A built in clip allows you to attach the Gulpy to any belt, leash or bag. Comes in 10oz and 20oz sizes, with an assortment of colours to choose from. 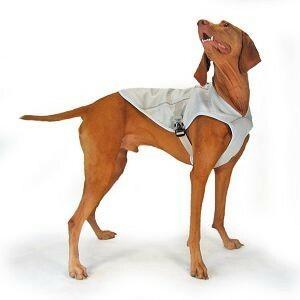 Cooling Jackets: If the hot weather has got your dog panting, picking up a cooling vest will help them enjoy the sunny days while minimizing the risk of heat exhaustion. Life Jackets: Investing in a life jacket is a smart idea if you live in The Beach or are out on the lake often. Even though dogs are good swimmers, some can tire quickly, which puts them in danger. Don’t chance it— look out for your dogs safety. Don’t be caught off guard by not having the right gear for the season. Get the right seasonal essentials to protect the ones you love. Give us a look and find out how fun and easy it can be to find the perfect gear for your four-legged friend.